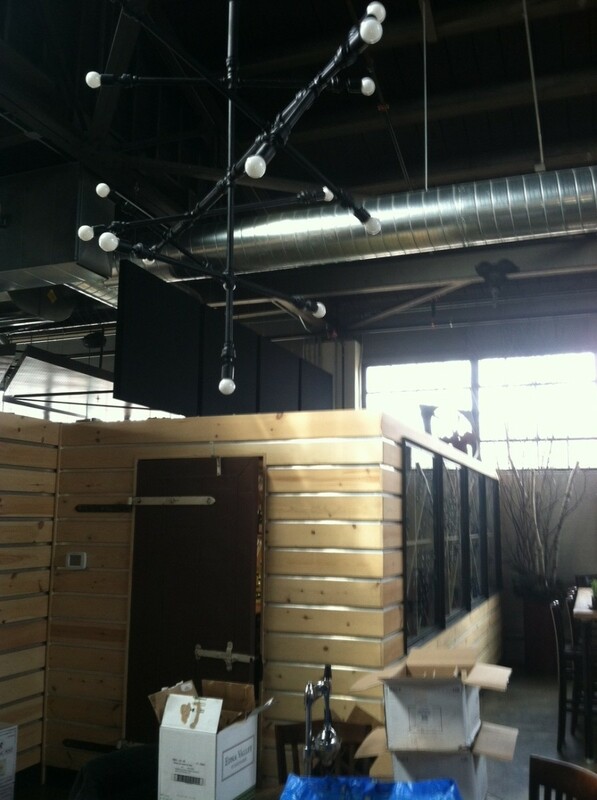 The Steel & Rye, a high class restaurant and bar in the Lower Mills area of Milton MA, wanted to lower the noise level that separated the kitchen and dinning area of the restaurant. 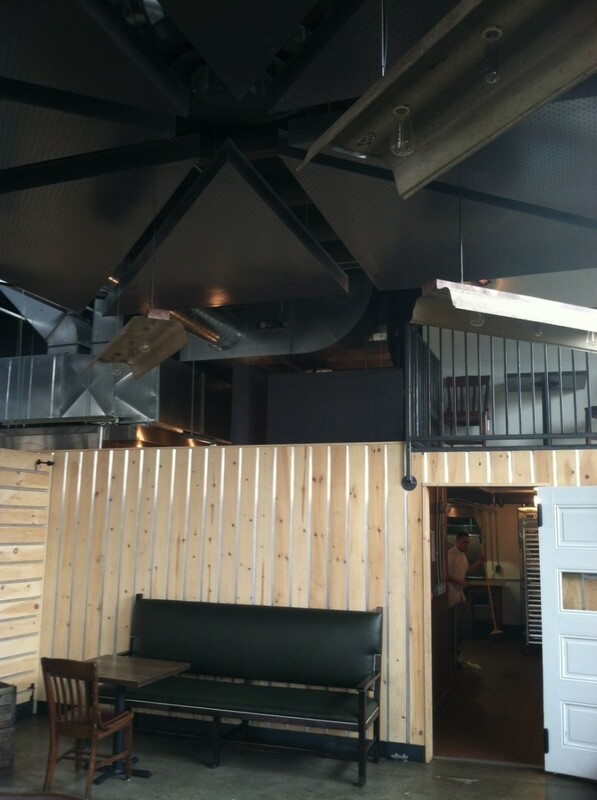 The restaurant has beautiful high wooden ceiling, exposed beams and very open feel to it. The walls dividing the kitchen and dinning area are lower and didn’t go to the ceiling. The worry was the noise coming from the busy kitchen over the wall to the customer’s table. New England Soundproofing was able to provide an acoustical product that allowed absorption and still have a open feel. 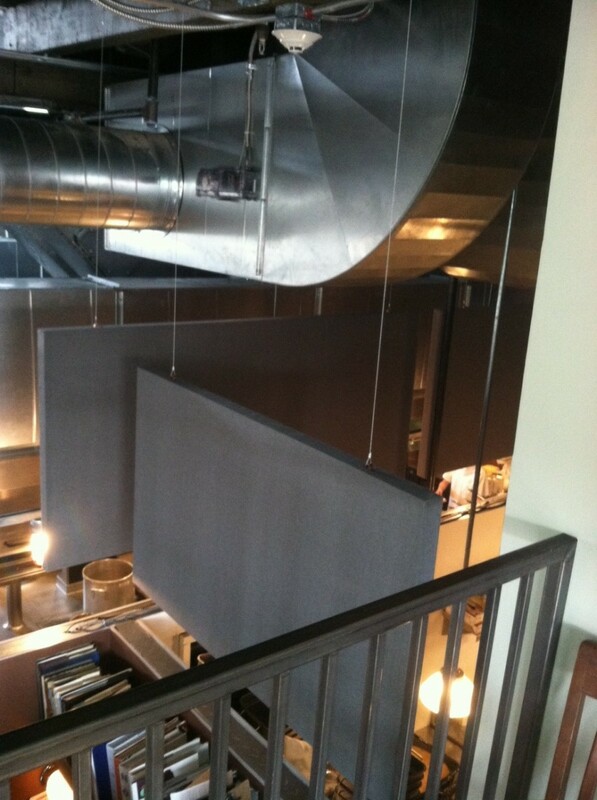 Custom made Acoustic Baffles that hung over the wall that divided the kitchen and dinning area. These baffles are just like our Absorption Panels, except that they allow absorption on both sides (they are hung) instead of just one side. The ridged wooden frame allows for proper hanging without any sag. Custom colors, sizes, and design allow us to match any décor. Hung by metal hardware to give that rigid look that Steel & Rye maintains. 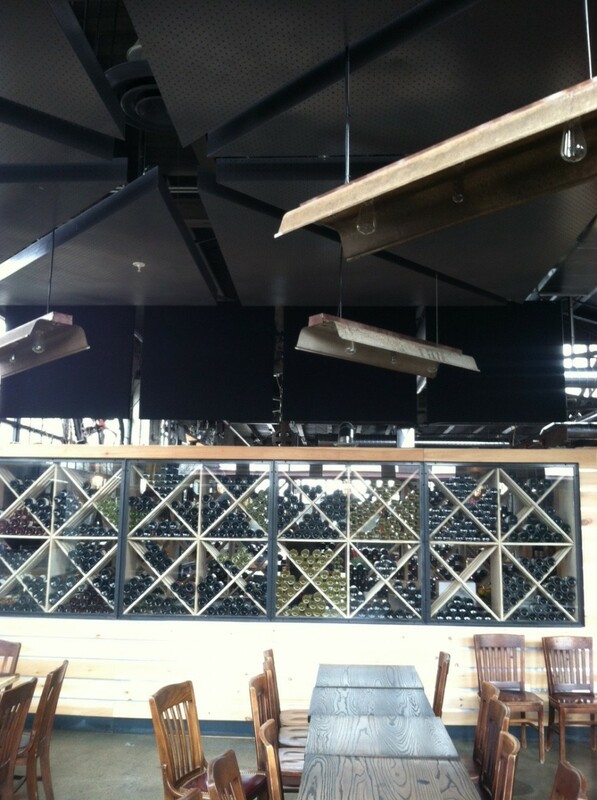 After the install of the baffles, the noise coming from the kitchen was reduced and allowed customers to maintain a comfort dinning no matter how busy they were. To order your complete custom ridged acoustic baffle, call New England Soundproofing at (781) 710-1261 today and we can provide you with the best acoustic panel on the market!